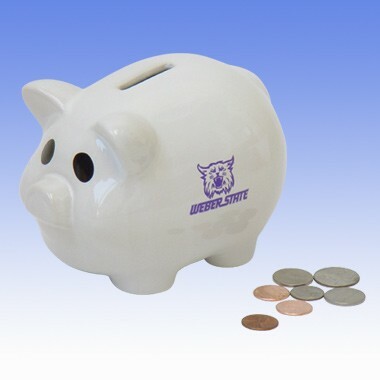 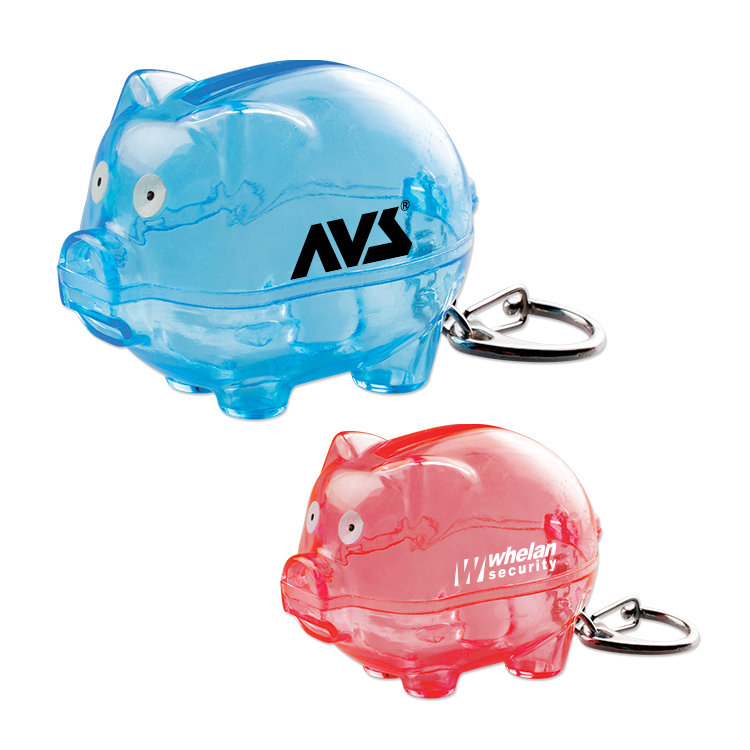 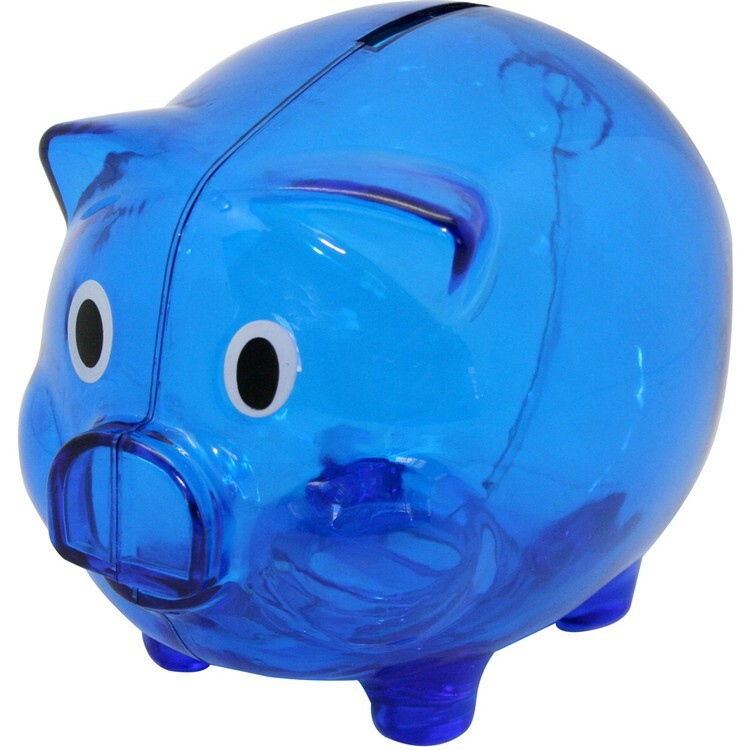 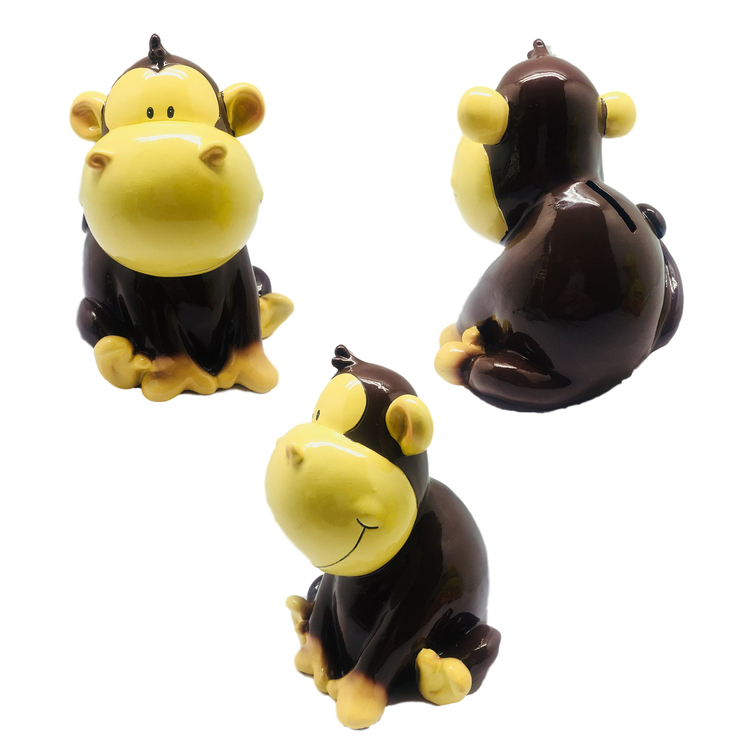 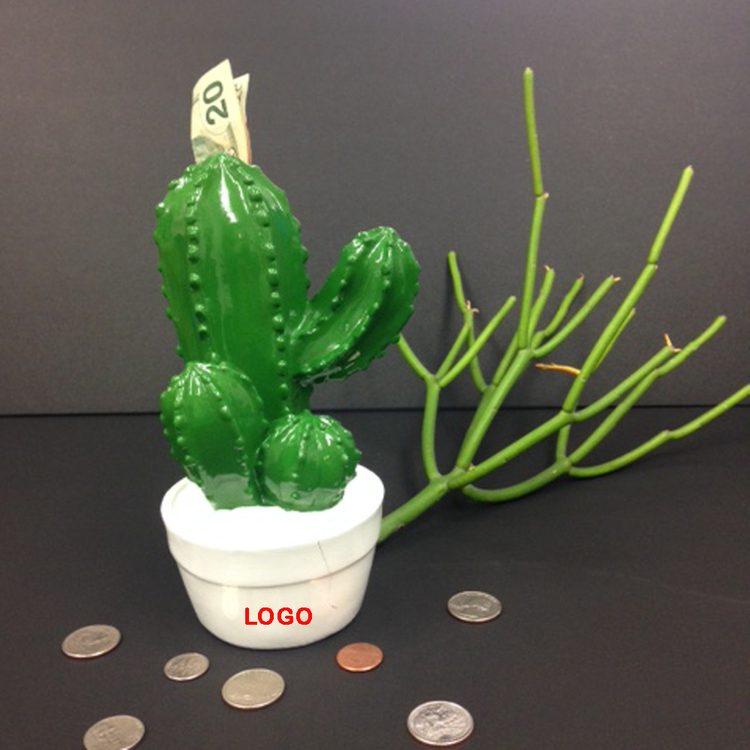 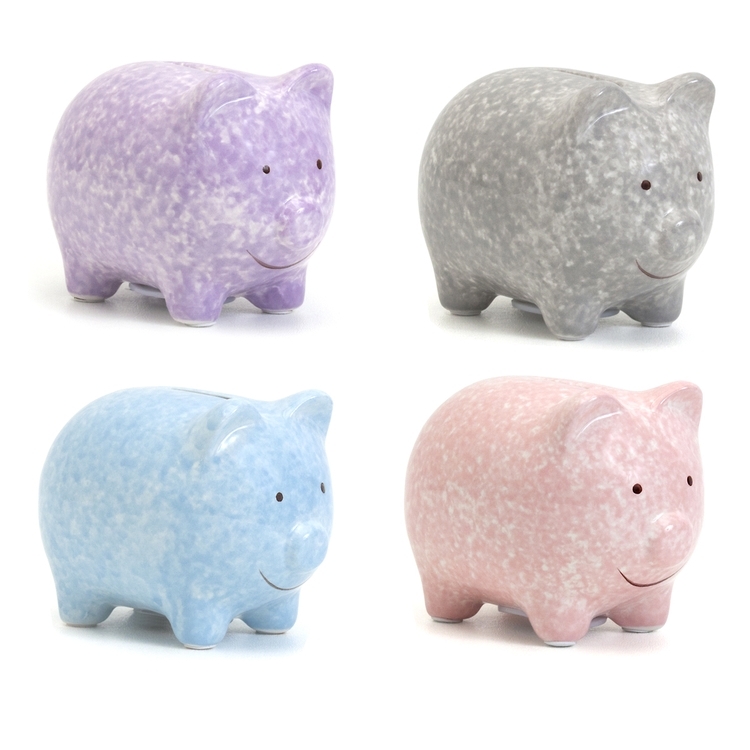 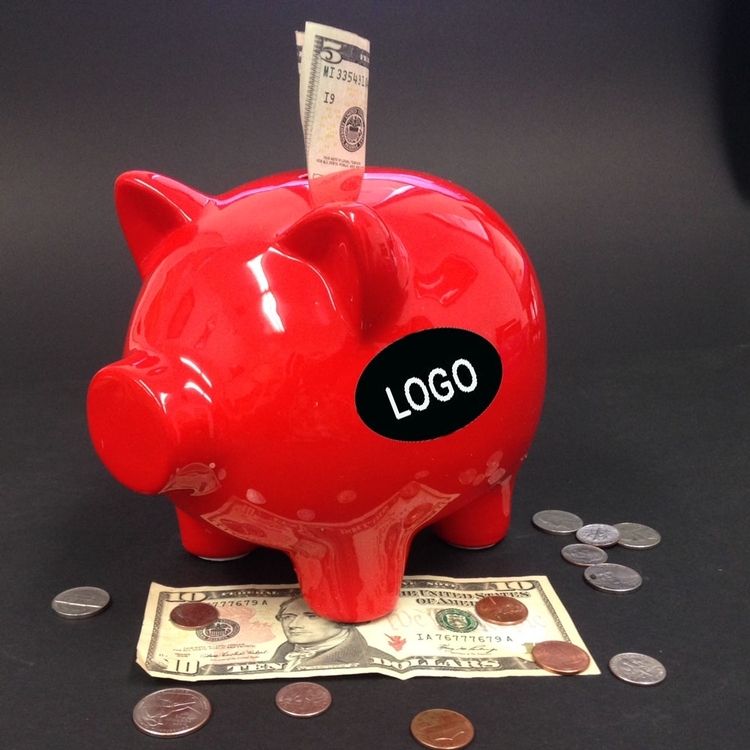 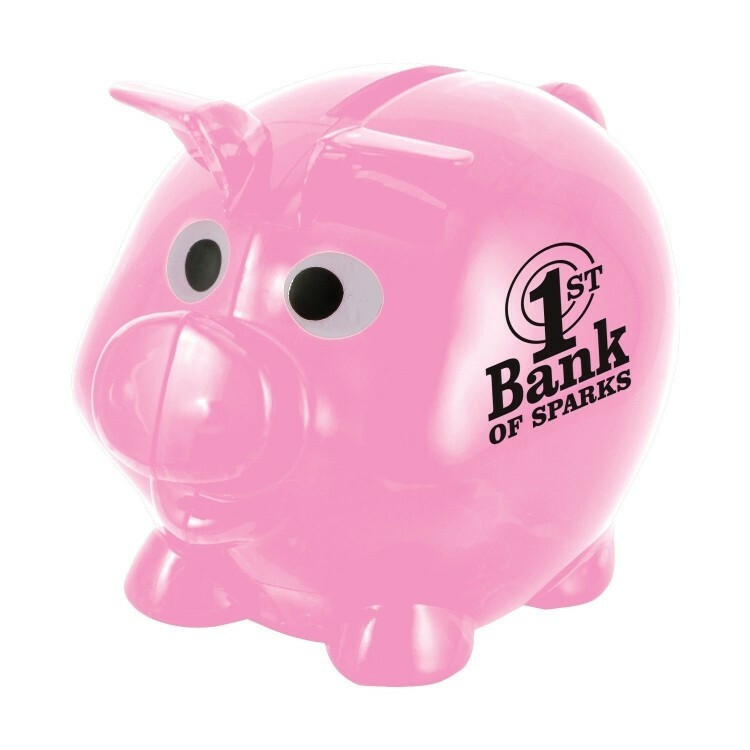 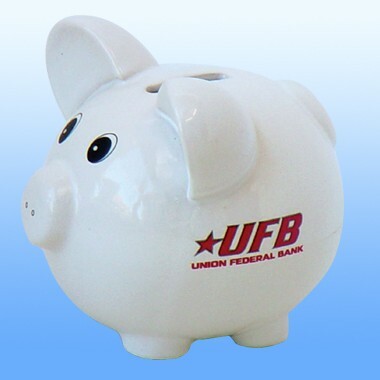 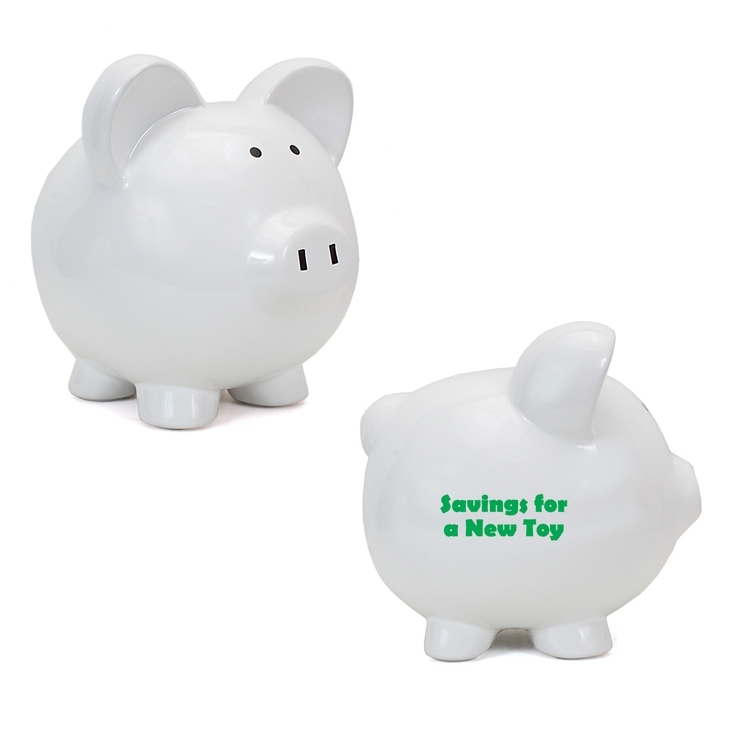 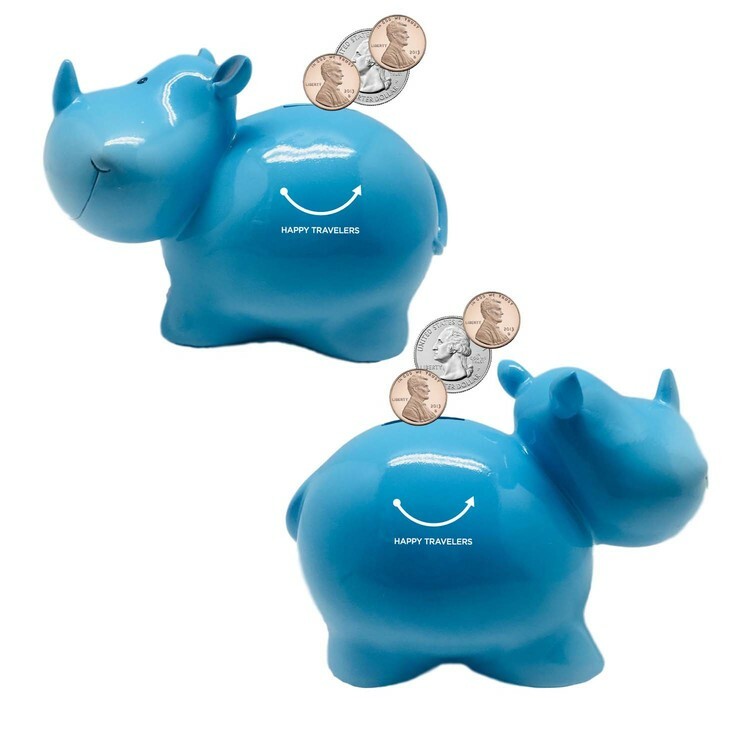 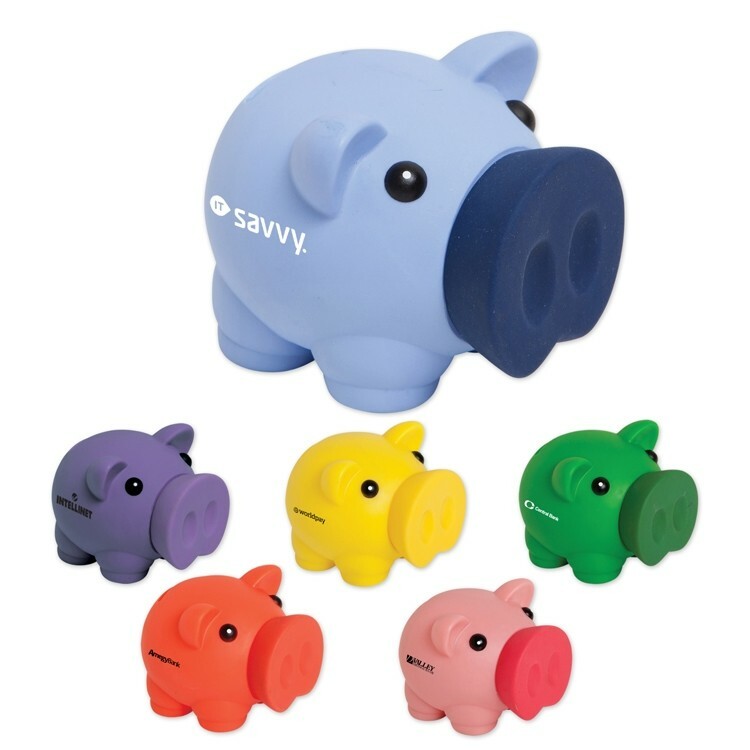 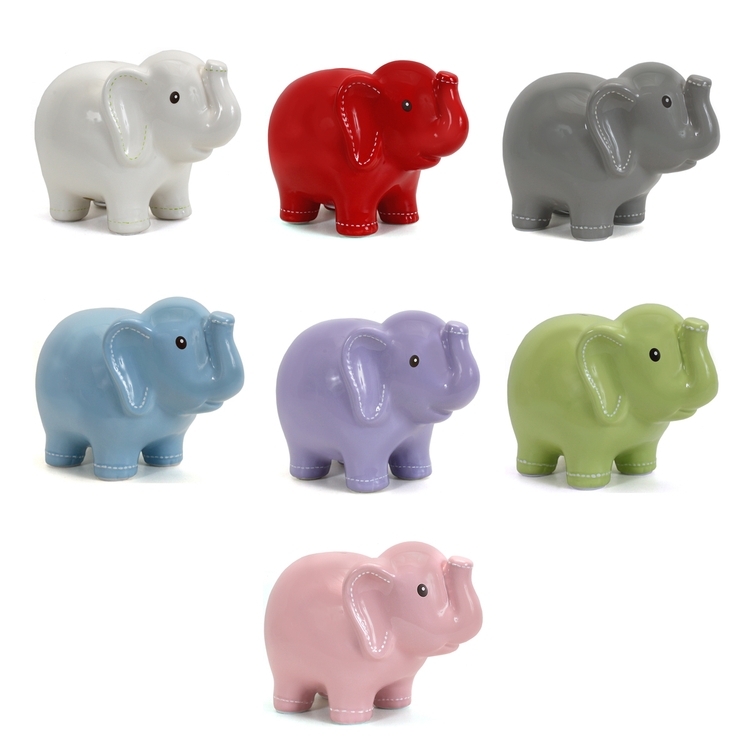 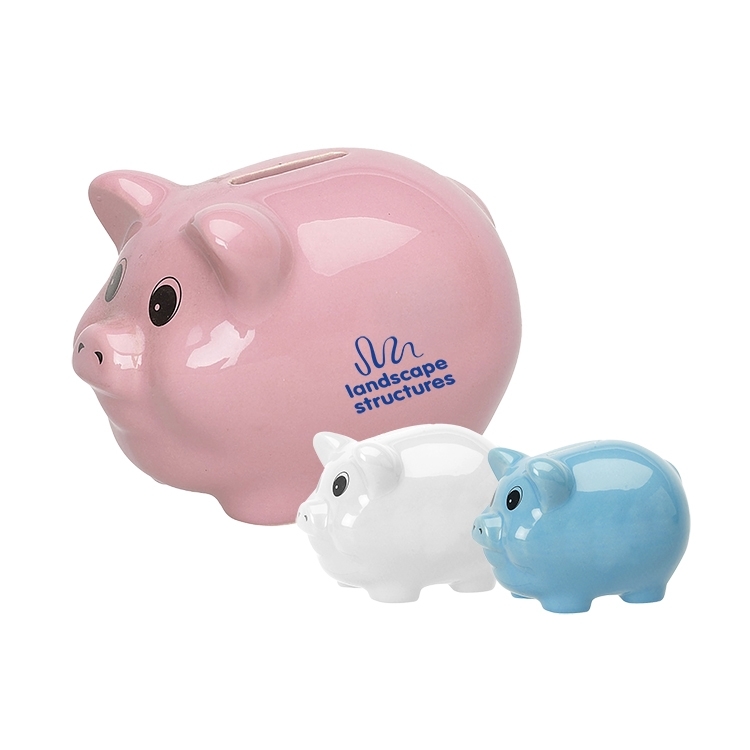 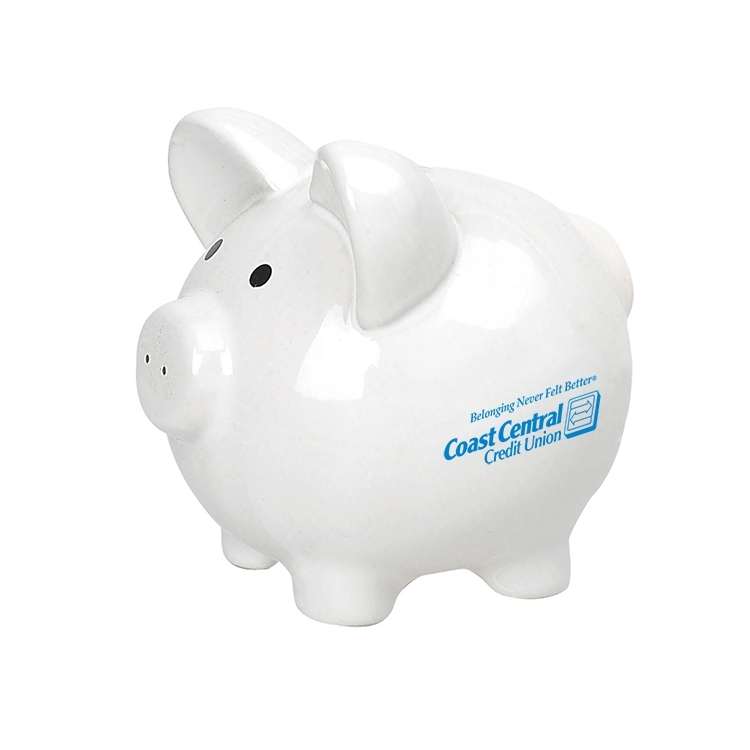 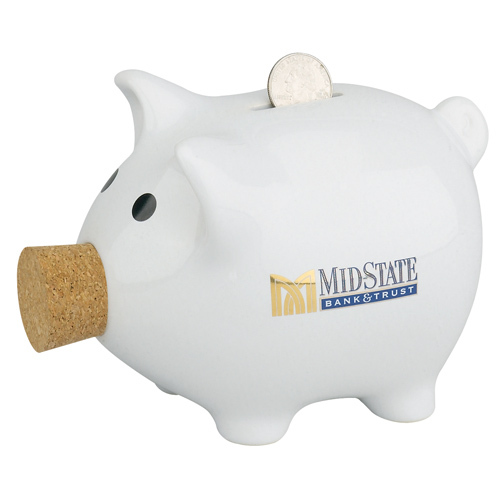 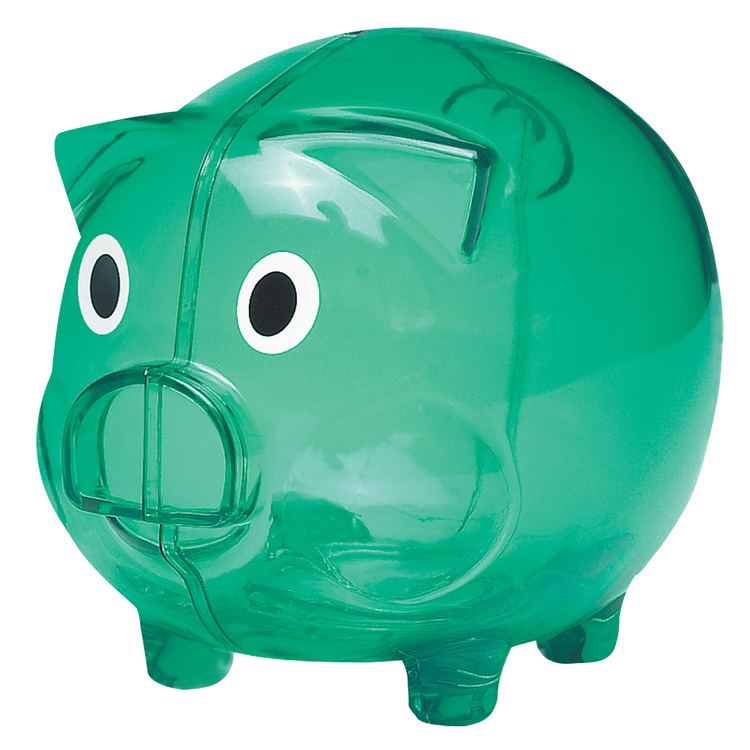 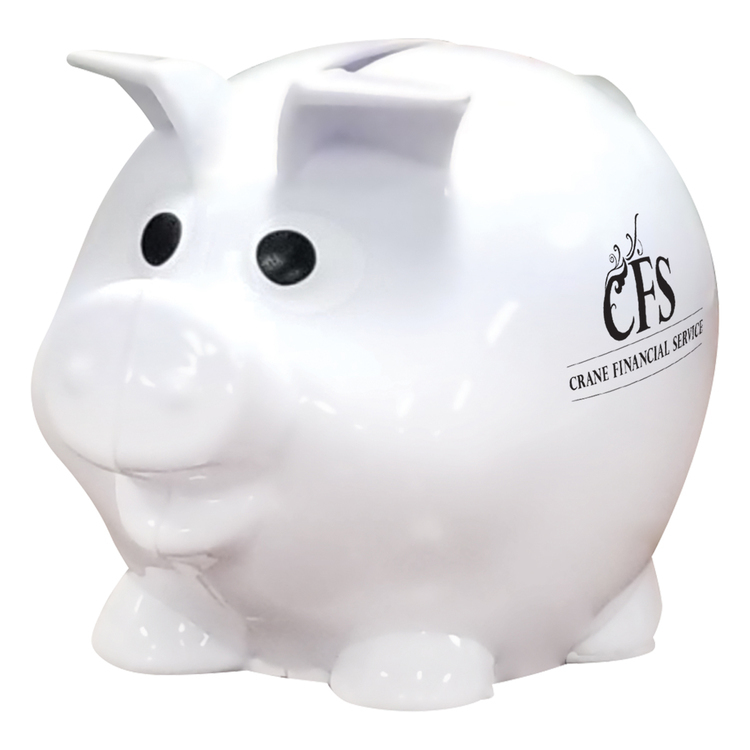 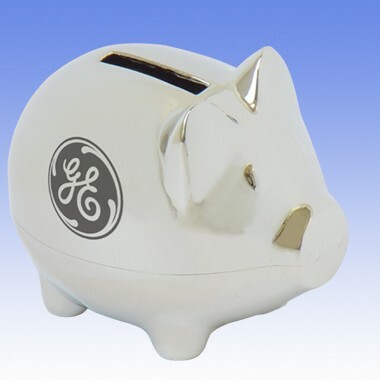 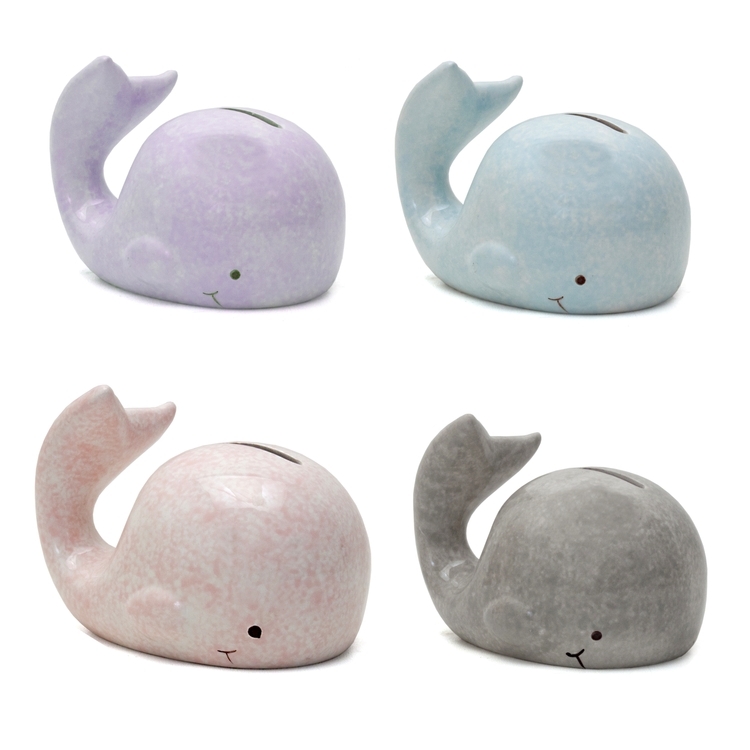 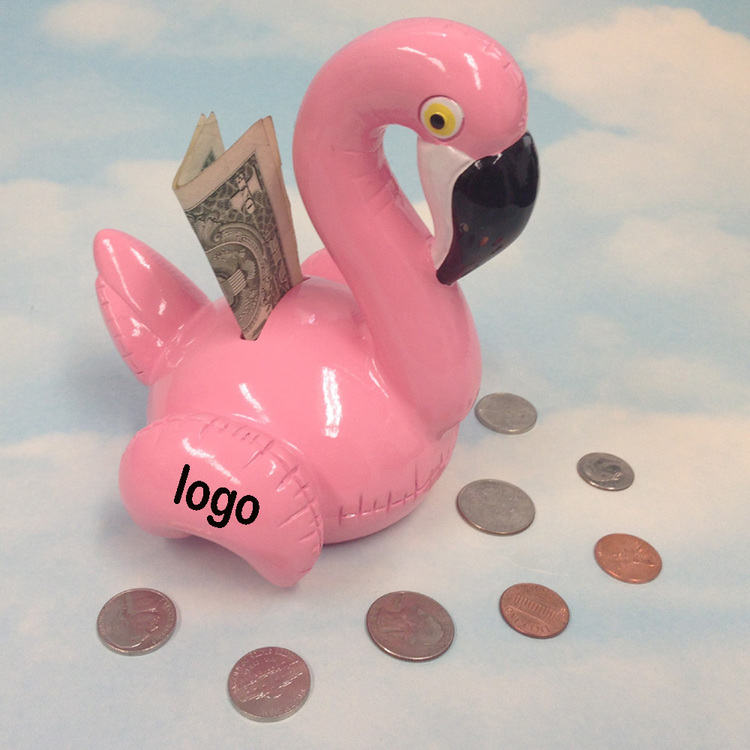 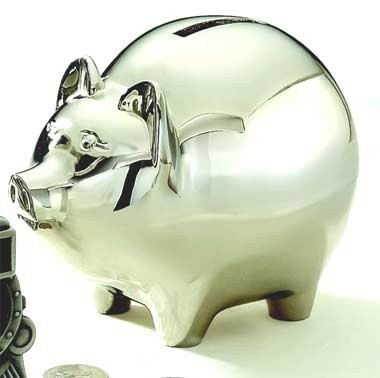 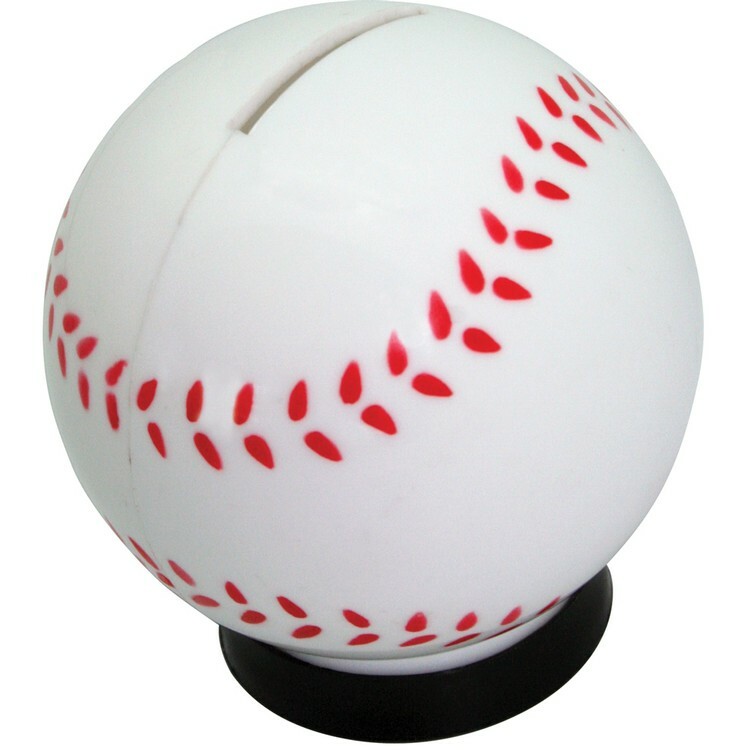 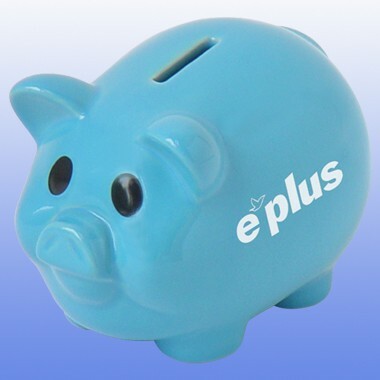 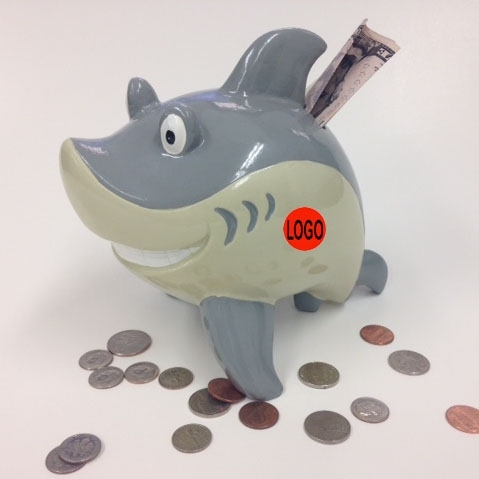 Custom printed piggy banks and coin banks are great promotional gifts for banks and credit unions. 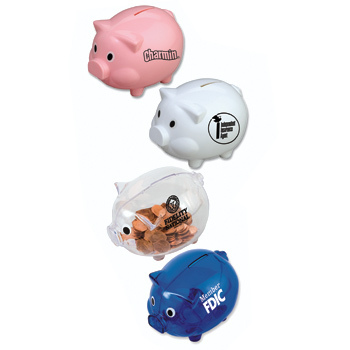 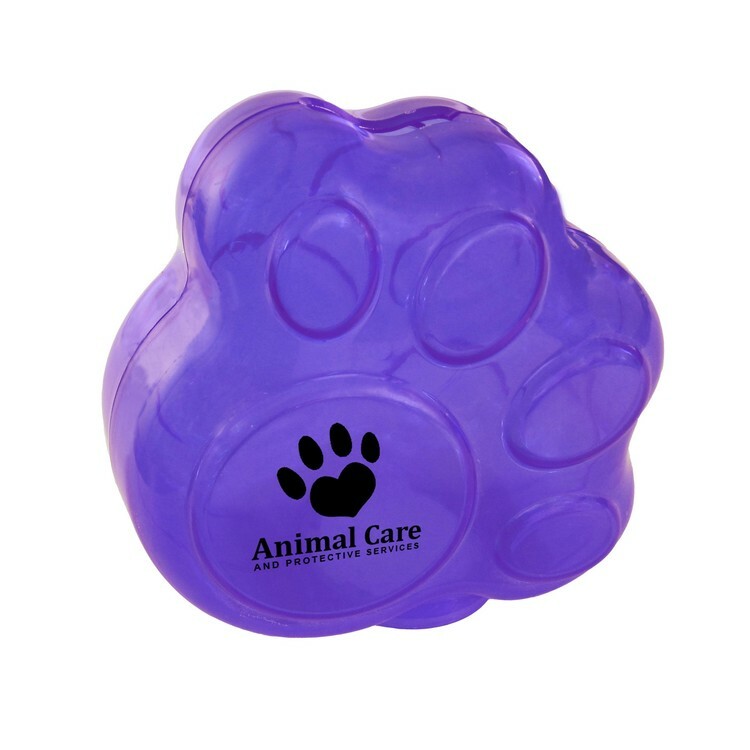 We can imprint your company logo or advertising message on many shapes and colors coin banks and piggy banks. 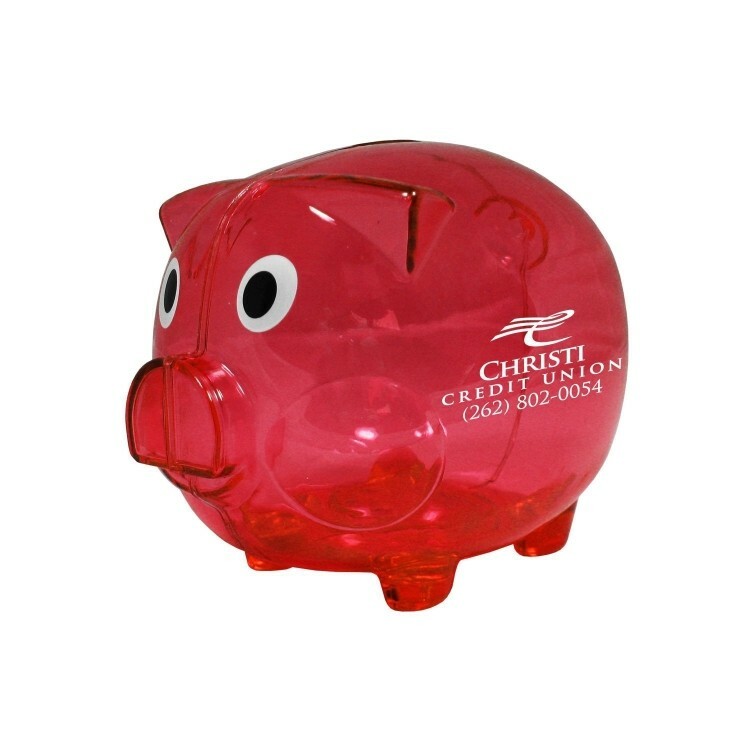 Our custom printed coin banks and piggy banks will keep your company logo visible on a great customer appreciation gift. 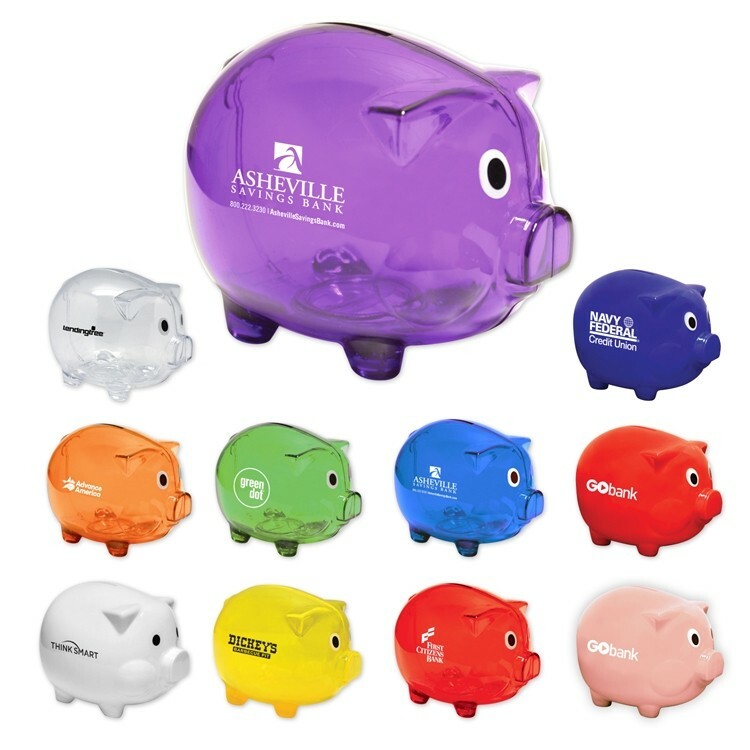 Available in shapes, sizes and styles, and all can be custom personalized with your promotional advertising message or imprinted bank or credit union logo and motto.